Fragile X Syndrome (FXS) is the most common genetic cause of inherited intellectual disability and autism spectrum disorder (ASD). Early identification results in appropriate management and improvement in functioning. Risk assessment in other family members can lead to prevention of the disorder. 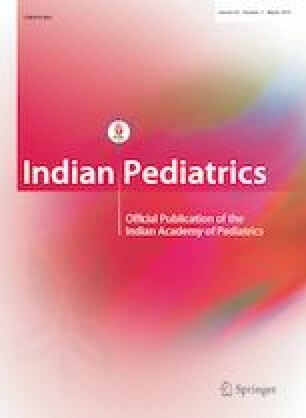 This necessitated the formulation of IAP recommendations for the diagnosis and management of FXS in Indian children and adolescents. The meeting on formulation of national consensus guidelines on Fragile X syndrome was organized by the Indian Academy of Pediatrics in New Delhi on 25th February, 2017. The invited experts included Pediatricians, Developmental Pediatricians, Psychiatrists, Pediatric Neurologists, Gynecologists, Geneticists, Clinical Psychologists and Remedial Educators, and representatives of Parent Organizations. Guidelines were framed after extensive discussions. A writing committee was formed that drafted the manuscript, which was circulated among members for critical appraisal, and finalized. The committee recommended that early diagnosis of FXS is crucial for early, timely and appropriate management. The interventions including timely occupational therapy, speech therapy and behavioral modifications help to improve the developmental potential and reduce the maladaptive behavior. Pharmacotherapy may be needed to control and improve behavioral symptoms. In addition, the emergence of targeted treatments such as low dose sertraline, metformin and /or minocycline may also be helpful for behavior, and perhaps cognition. Genetic counselling is helpful to communicate the risk for future children with FXS or permutation involvement.